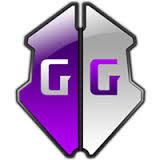 GameGuardian is a game hacking apk app which is also known as Game Guardian. This apk app is used to hack games and modify the prices, coins, scores as well as gems according to your wish. There is a necessity for this app and that is this game hacking apk app only work’s with rooted devices means you have to root your device first. We already publish number of articles on how to root your android device on here. Don’t forget that GameGuardian does not functional with paid games so you can test it only on free games on your own risk. GameGuardian Apk App first helps in finding the score values and then you can modify it with your desired value. For example you have scored 300 coins in a game. Now you have to launch GameGuardian which will search for 300 value and consequences will returned. After this you have to identify and change the score from there by putting your desired value such as 300000. This apk app offers you multiple search options which ables you to find scores even if it is not entered. You have to identify the search values means which defined ones or fuzzy ones. If you are ready to try this incredible game hacking app than download the app from down here. GameGuardina game hacking apk app also works same like Game Killer Apk and SBMan Game Hacker Apk. If this app fails to modify the game score than you can use any of above apps which we discussed already. Remember GameGuardian is a perfect one or ethical one for hacking android games. than click on download link and starts enjoying it.